He will be awarded $15,000 to be distributed over a two year period, to assist him with pursuing a Master’s Degree in Computer Science at Kent University, United Kingdom. 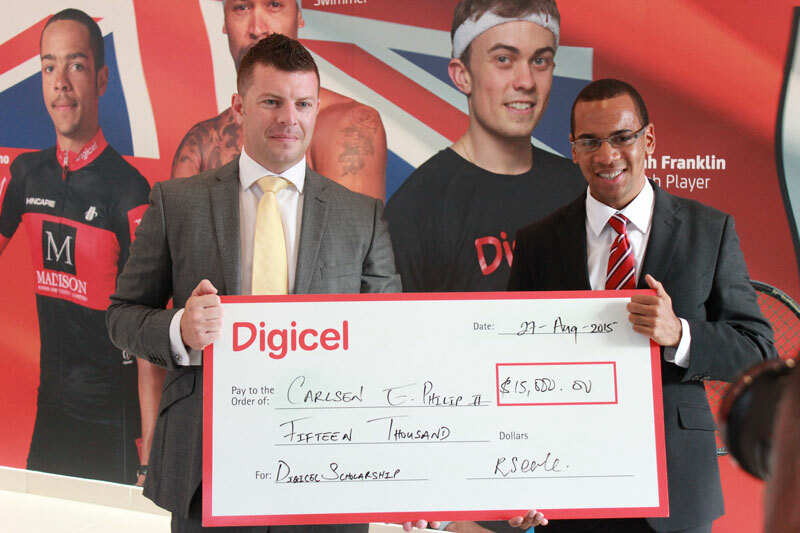 Digicel said, “Carlsen boasts an impressive resume with a Bachelor of Economics Degree with a Minor in Mathematics from Howard University and studied abroad in Barcelona. Following his undergraduate studies he completed various internships in top companies including HSBC, PwC locally and Partner Re internationally in France. “Fluent in Spanish and French, he also dedicated his time to charitable and personal pursuits including teaching Spanish elementary students while residing in Barcelona, acting as secretary of his Economics Society while studying at Howard University and being an avid salsa dancer. “The Digicel Scholarship Panel were impressed with his academic successes, community involvement, passion for his education, career & life goals, along with his attentative and prepared approach to his application. CEO of Digicel Robin Seale stated, “We remain dedicated to developing Bermuda’s youth and Carlsen is a prime example of the potential that we at Digicel are looking to provide extraordinary opportunities for. Mr Philip will travel to Canterbury in September to commence his Master’s Degree and will intern at Digicel during his academic breaks to further develop his skills in a practical environment.